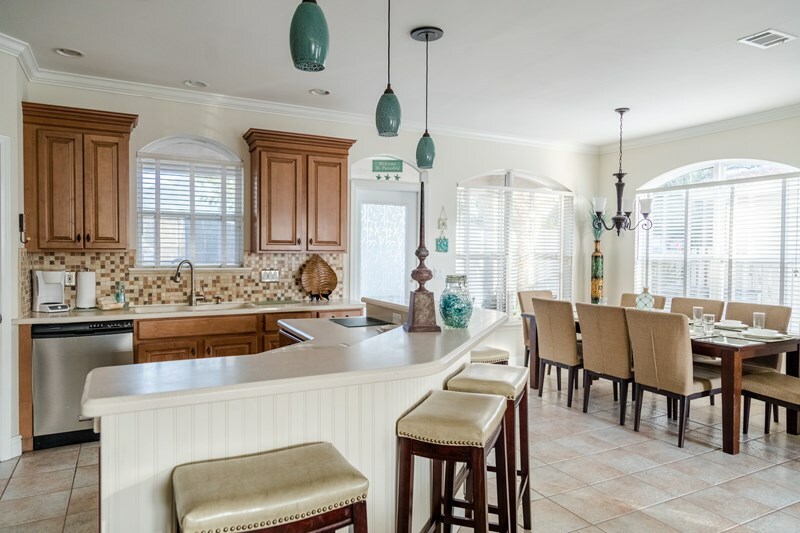 Destin Florida vacation home, Destin home for rent, Destin five bedroom home, Secret Paradise vacation home, Emerald Shores, Miramar Beach Florida, South Walton beach Florida. 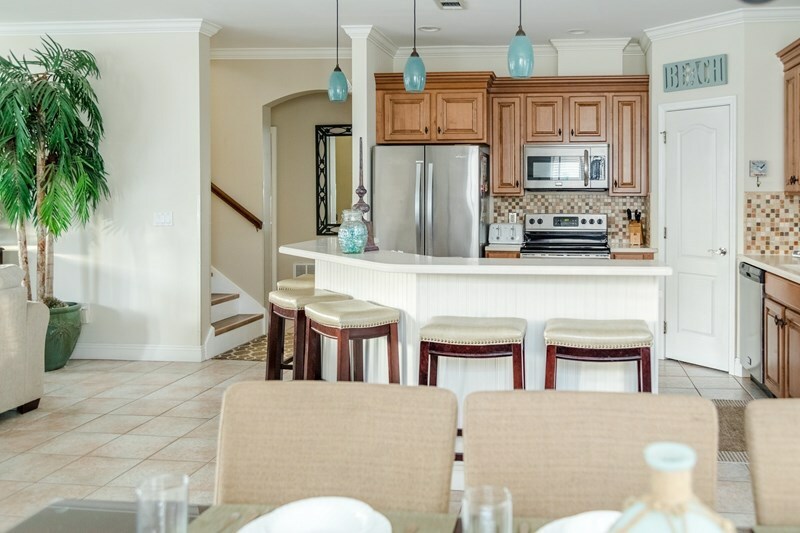 Private beach pavilion with bathrooms, snack bar and rinse showers. One of a kind in Destin! 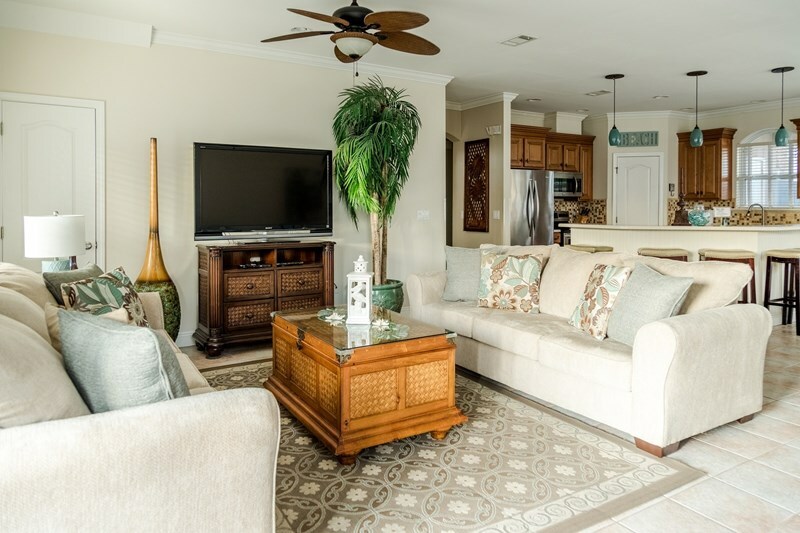 Link 1: View additional photos and get more information on the Destin area! 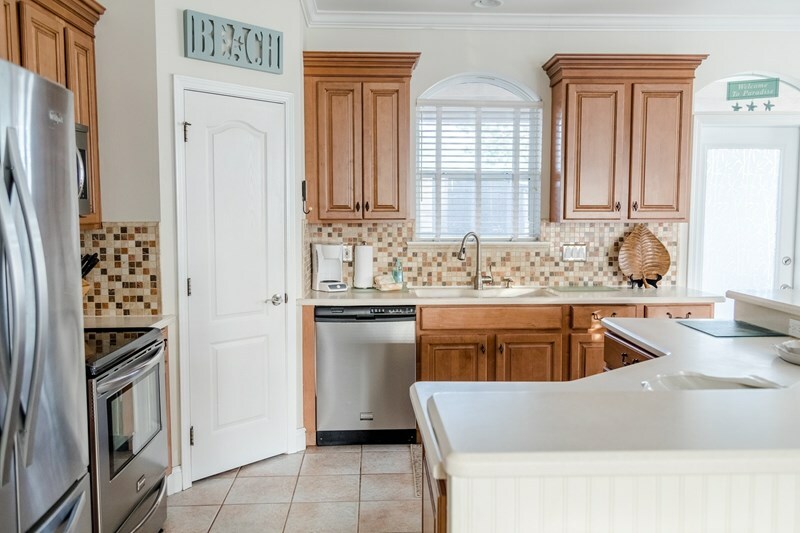 View additonal photos and get more information about "Secret Paradise"
Our home is located on a quiet cul-de-sac between the two private neighborhood pools; a short two minute walk takes you to either pool (heated), tennis court, basketball or shuffle board. 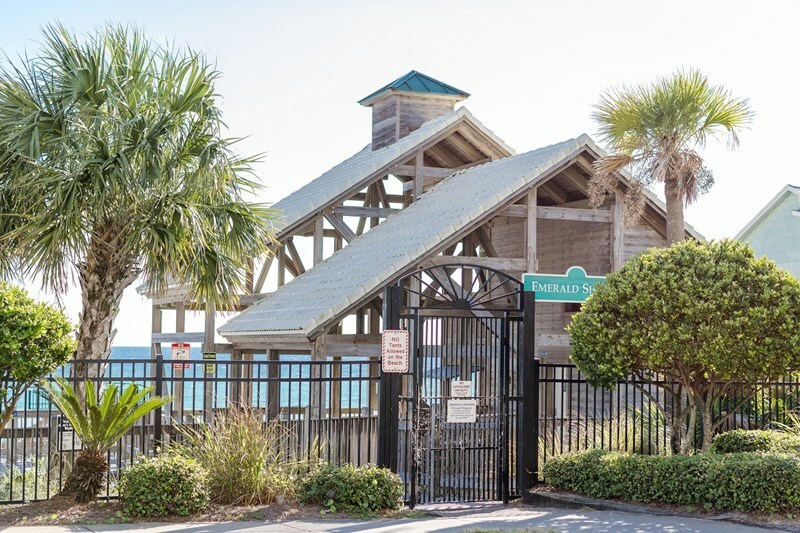 Emerald Shores is the only neighborhood in the Destin area with its own private beach pavilion on the ocean with bathrooms, shower, picnic tables, sun deck, private deeded beach owned by the subdivision. 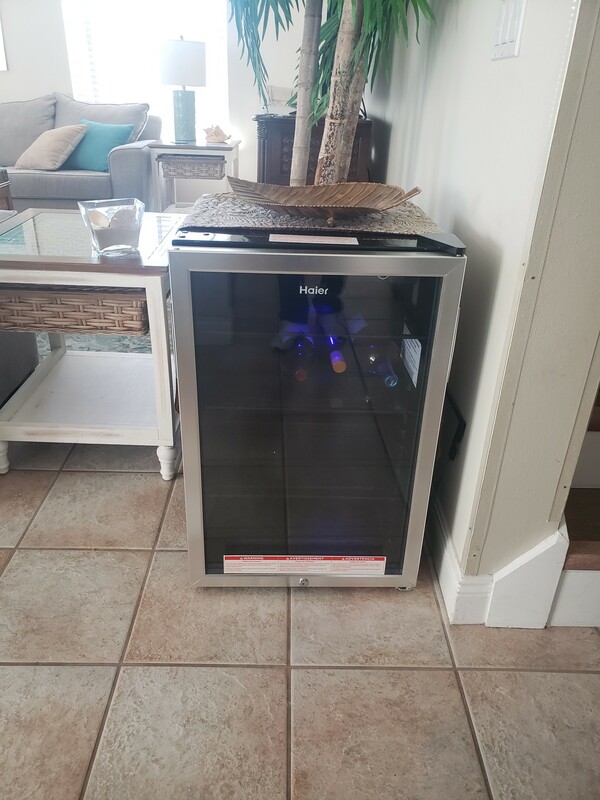 During summer months Emerald Shores offers a free shuttle service to take you to the beach or you can enjoy the short 5 minute walk through the tropical neighborhood to get to the beach using our wagon to bring all your toys and chairs. Beach service (umbrella and chair rental) is available as well. “Secret Paradise” has been upgraded and professionally decorated. 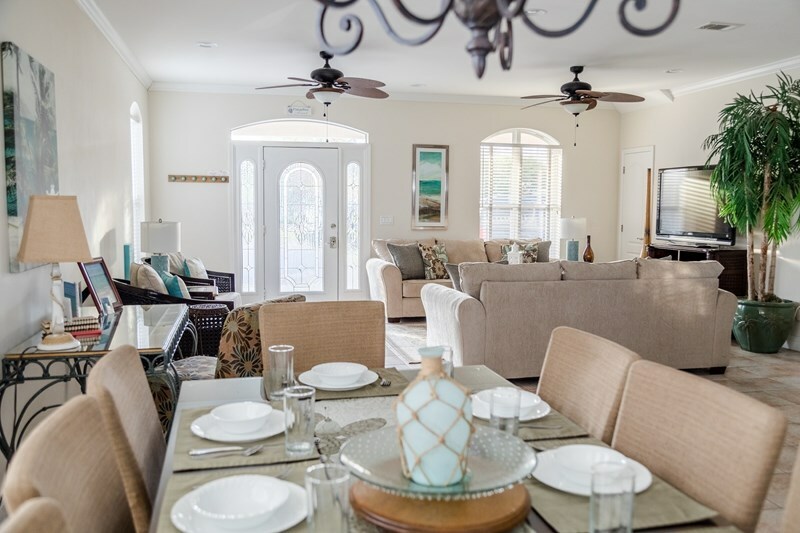 After entering through the leaded glass front doorway you will be welcomed with a large open floor plan to enjoy. The spacious living room has plenty of comfortable seating new sofas in October 2014 and upgraded furnishings including a 52" HDTV, dining area with solid wood table for eight and fully equipped gourmet kitchen with new stainless steel appliances and maple cabinetry with corian counters with 5 bar stools for countertop dining. Kitchen also has a door to the back covered patio with new propane grill to extend outside dining. There are NO steps on the first floor and home has three entry ways for easy access. 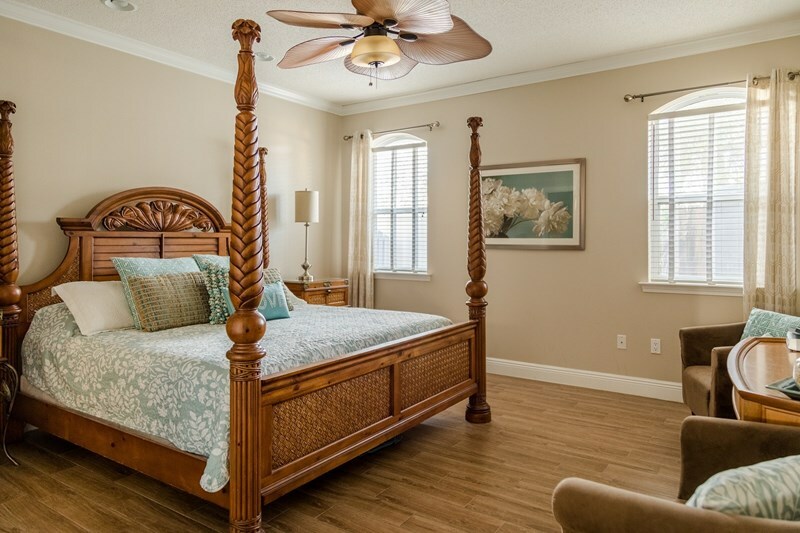 The spacious first floor tropical themed master bedroom boasts a king size carved wood poster bed, 32 inch TV, and DVD player. 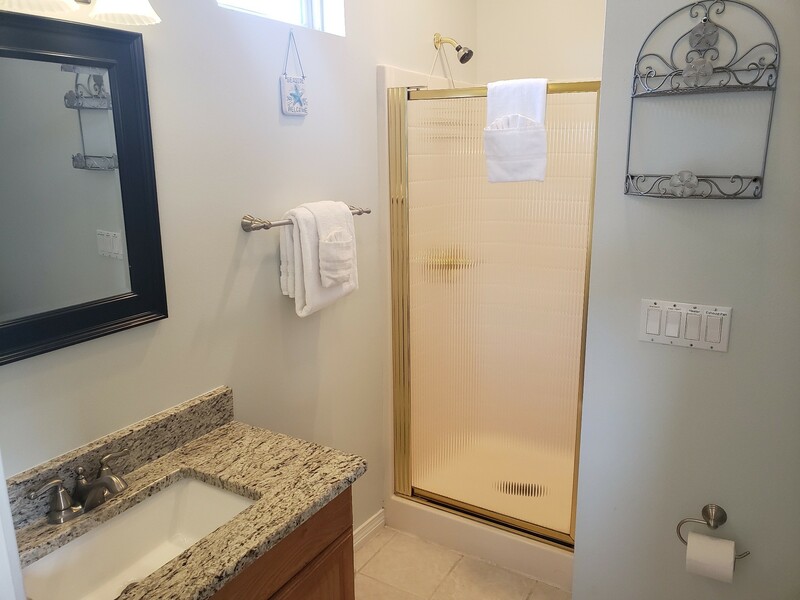 Attached is a NEWLY renovated full bath with oversized shower. 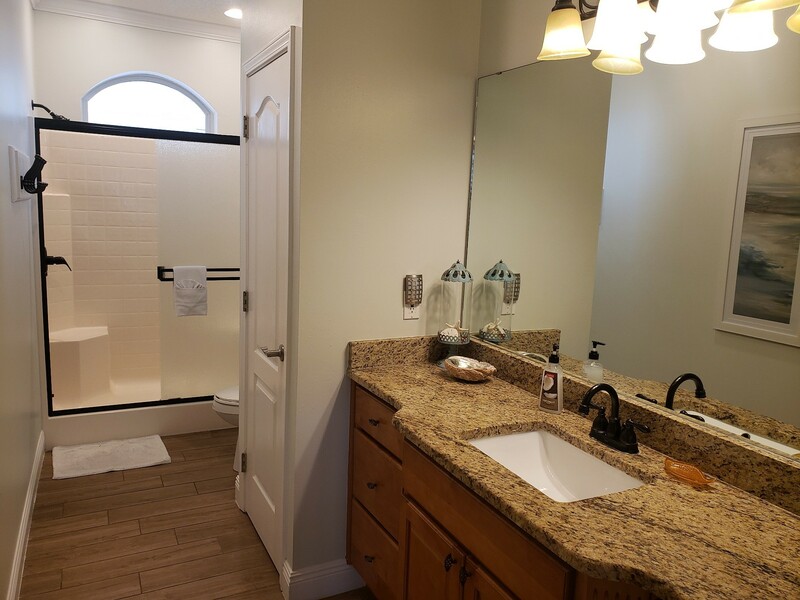 The upgrades added in October 2014 include new vanity, granite counters, new sink, all new faucets, new shower doors and all new wood look porcelian tile flooring throughtout the bathrooma and Master bedroom. 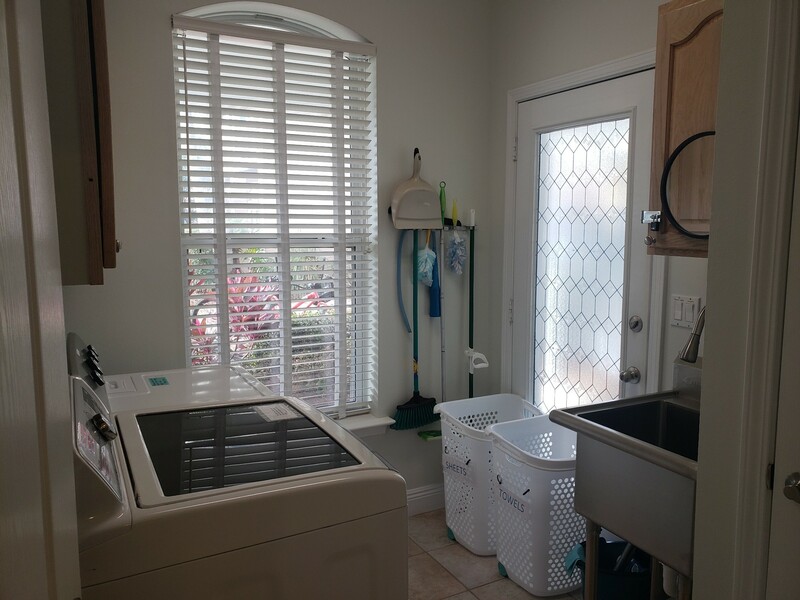 The first floor also has a full laundry room with deep sink, iron, ironing board, drying rack, and door to front porch. We also include the laundry detergent. 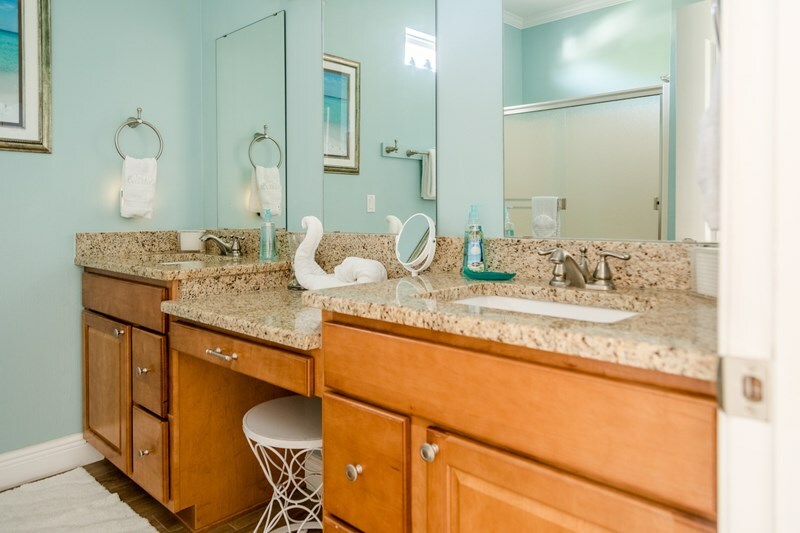 A half bath for your added convenience is also on the first floor with designer vessel sink and new vanity. 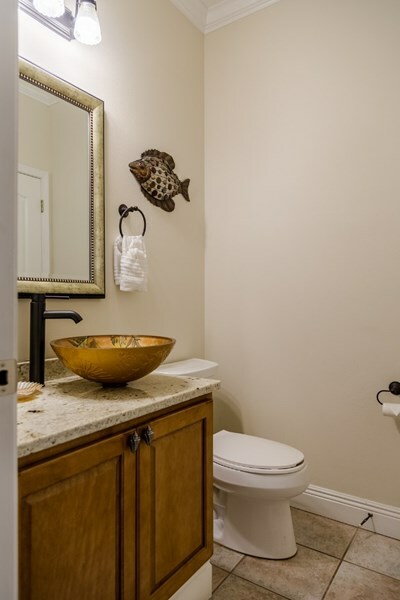 Extra wide stairwell with vinyl plank flooring leads to the second floor with three addition bedrooms, porch access, large NEWLY renovated in October 2014 full bath with all NEW double sinks, vanity, granite, tile flooring, and shower doors to the tub with shower combination. The second floor has new vinyl plank flooring throughout. 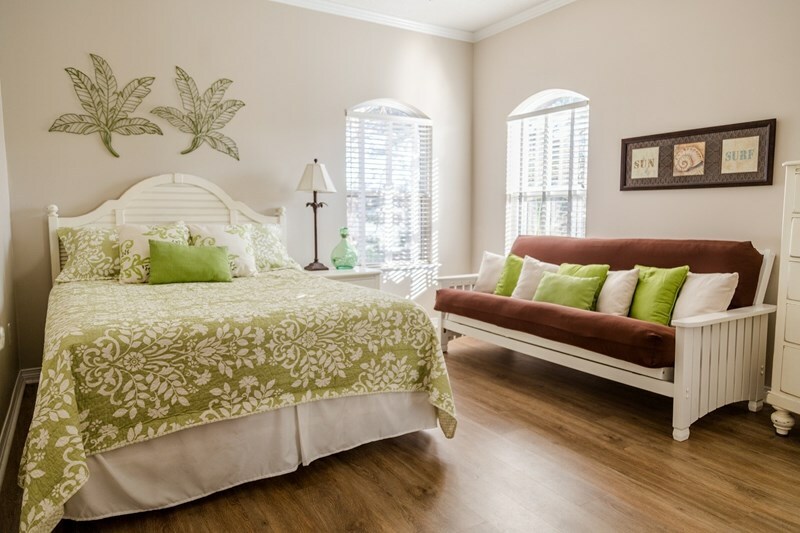 One room features KING size bedroom suit, flat screen TV, DVD player, French doors to large covered porch, large closet. Additional bedroom has TWO TWIN beds and a QUEEN sleeper sofa (new premium sleeper mattrice 2015) to host 4 people. 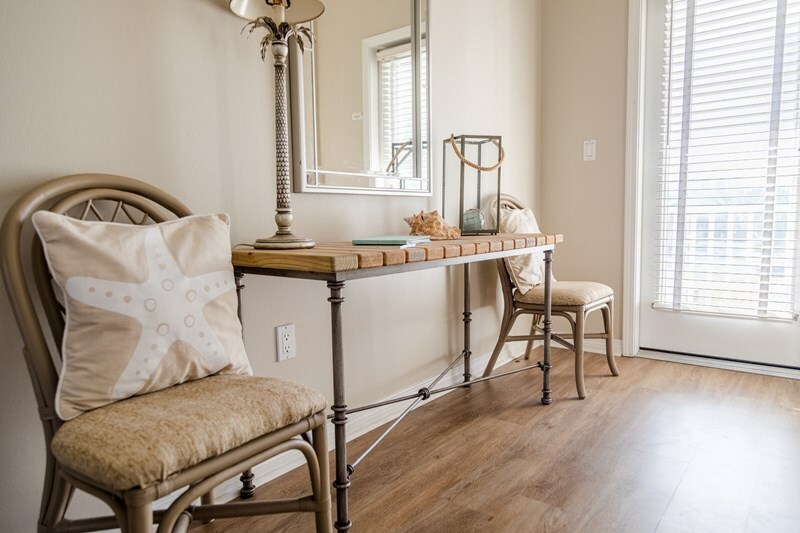 Also a bedroom that sleeps four with QUEEN bed, deluxe FULL futon, large closet, and TV and DVD player finishes this floor. 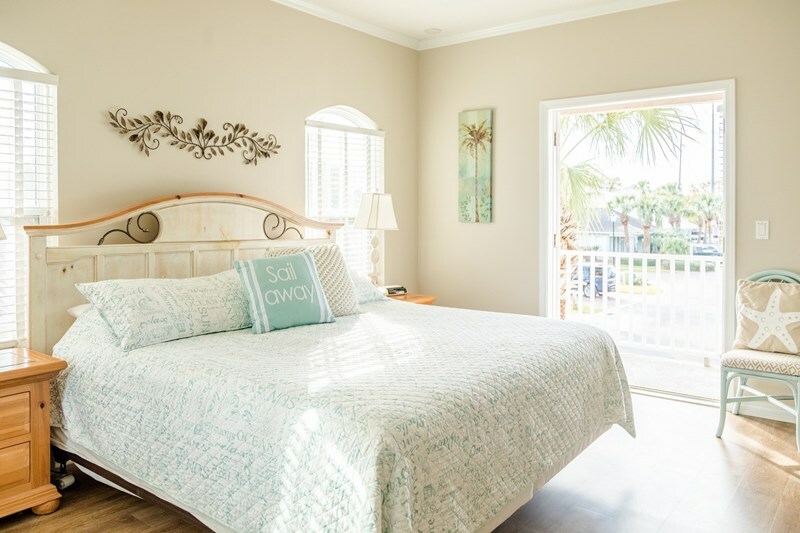 All bedrooms are very large with plenty of room to enjoy with private closets and dressers to unpack and enjoy your Secret Paradise stay. Venture up to the third floor for a private tropical suite. 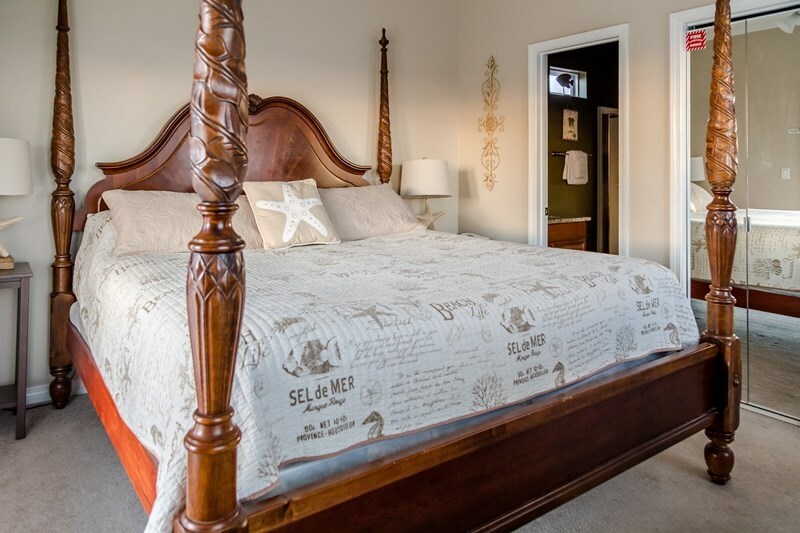 KING size tropical carved poster bed awaits with French doors to a private balcony that is great for relaxing and watching the sunset or listening to the gulf. This room features full upgraded bath with new vanity and granite, shower, closet, 32 inch flat screen TV, DVD player and chair for comfort. 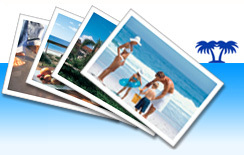 We offer free Wi-Fi, local phone, multiple TVs, DVD players, cable TV. 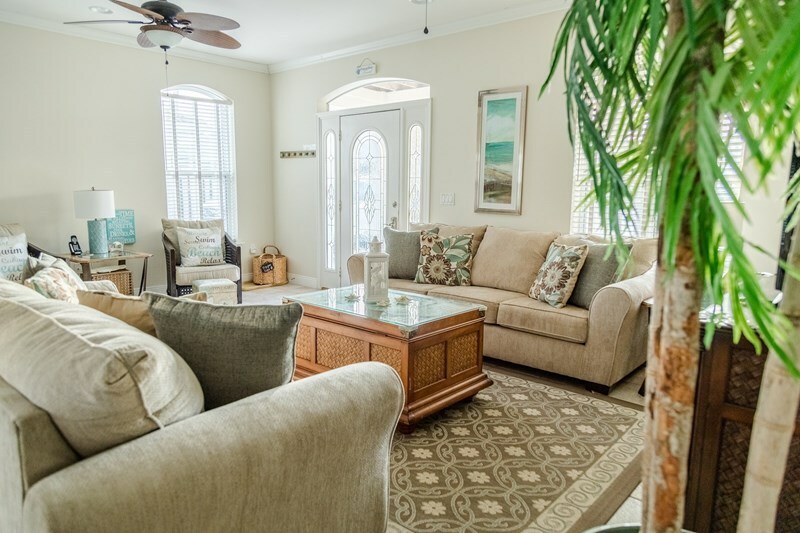 The home has 4 large covered porches for relaxing and enjoying your stay. A propane grill is offered. Also a wagon and rolling cooler are supplied for your use as well. 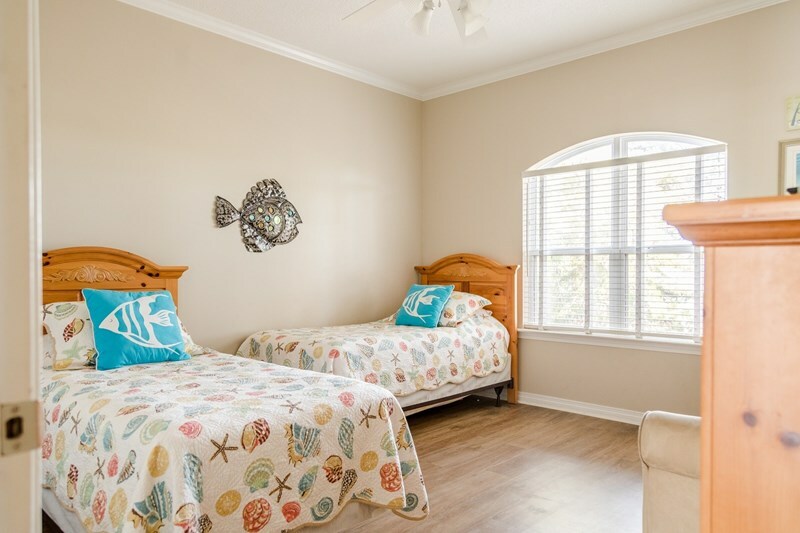 We have a large closet off the back porch with beach toys and floats to share with our guests! The home features two hot water tanks and dual ac units. Every bedroom and living room has ceiling fans. 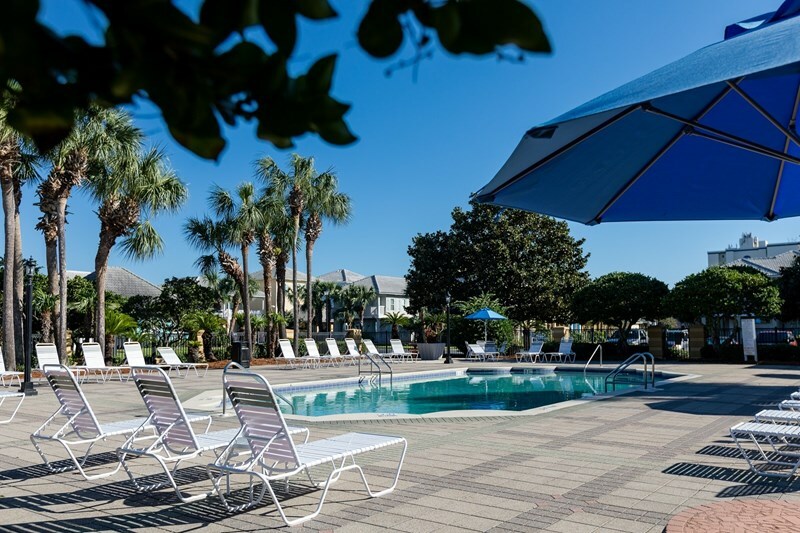 All linens and towels are provided(excluding beach towels). Private driveway for parking 3/4 cars. Destin has so much to offer everyone. If you are looking for more to do than enjoy the beautiful white sandy beaches and emerald waters there is plenty more to do. 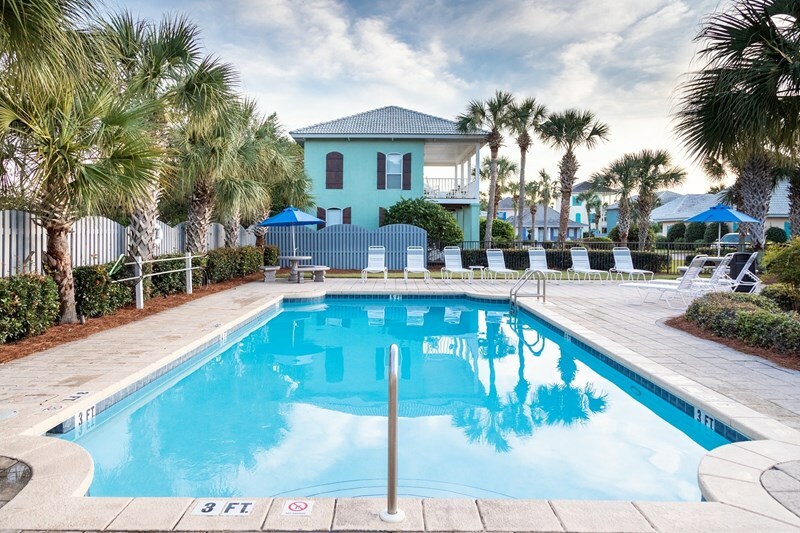 Destin is a shoppers dream with Destin Commons (upscale outdoor shopping plaza), Silver Sands Outlet mall (largest designer outlet mall in Florida, over 100+ outlet stores), and Baytown wharf (outdoor boutique shopping with restaurants). All located within 2-3 miles of “Secret Paradise”. 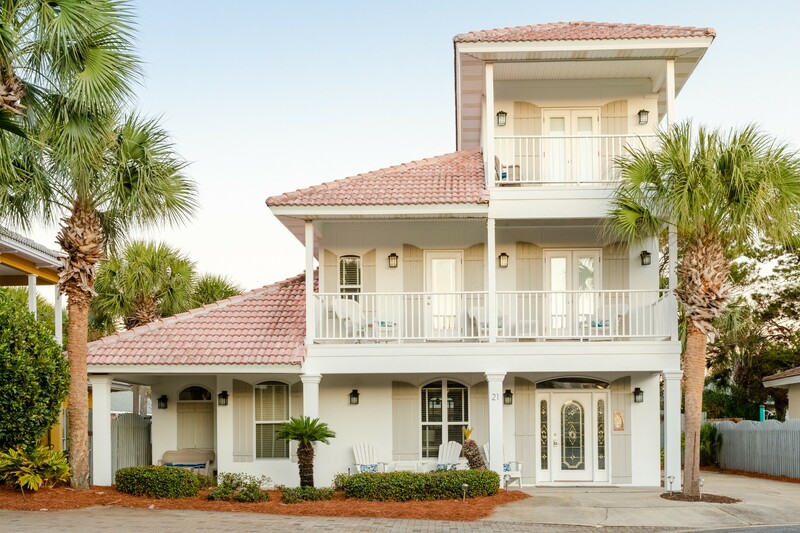 Destin is also known as the “World’s luckiest fishing village”. 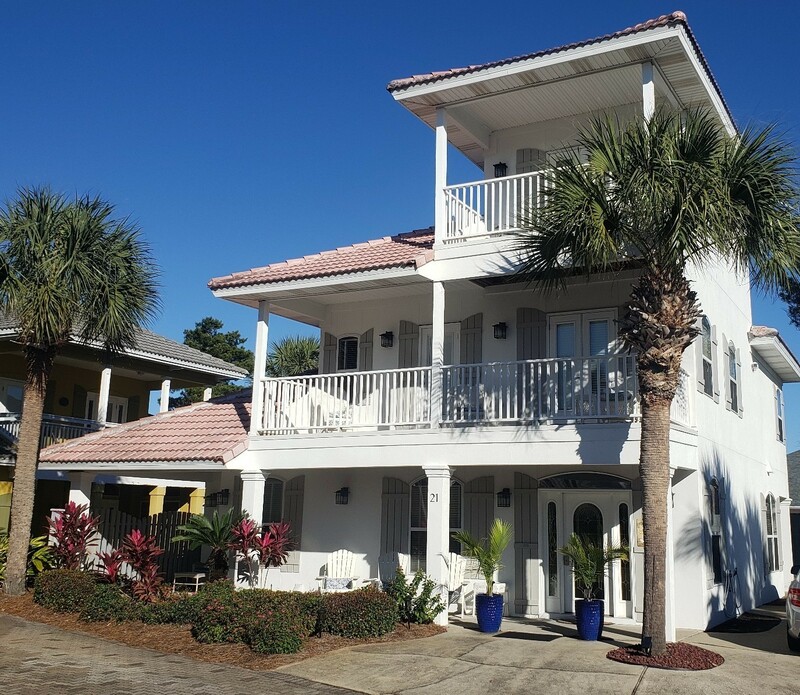 The harbor walk village is located in the fishing harbor of Destin. Home to the Fishing Rodeo this harbor has charter boats and multiple activities for the whole family. Dining out in any of the area restaurants is a great way to spend an afternoon. Walking distance are a few beachside dining options. 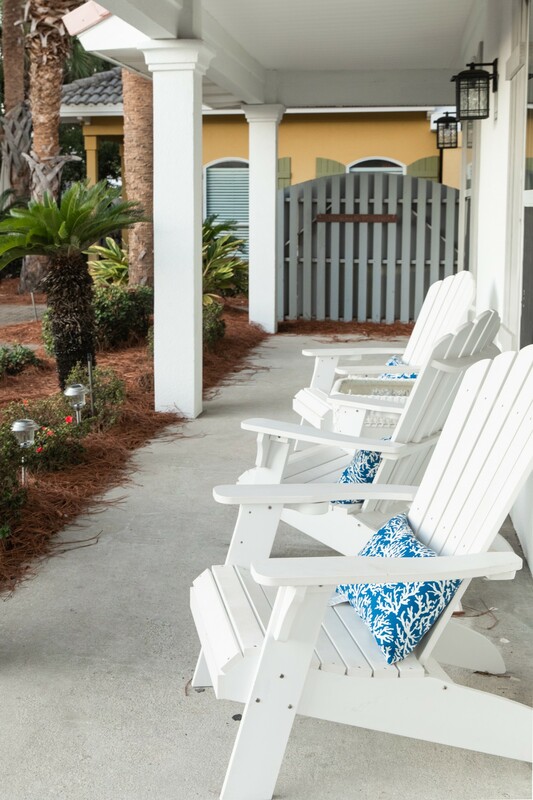 Sitting beachfront overlooking the beautiful views is a great way to enjoy the moment.